Winter is fast approaching. That means it's time to stock up on winter essentials, most importantly, sweaters. 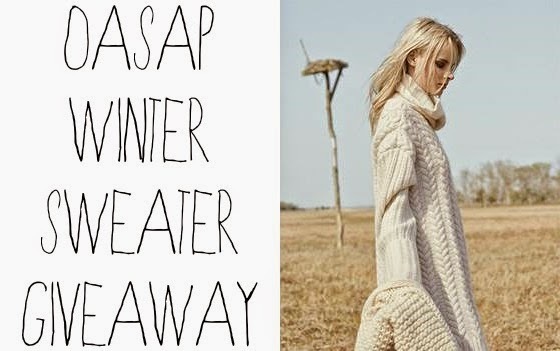 One of my readers will have the opportunity to win one of these lovely Oasap winter sweaters, in their choice of color! * Leave a comment with your sweater selection (name and color), along with your Oasap account email address. I would choose the "Classic Solid Cable Sweater" in the color beige! My email address is sarahmark595@yahoo.com. Decisions, decisions.. I'd have to go with the "Brilliant Floral Cropped Sweater" shown there. 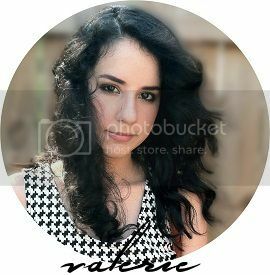 miles_marissa@yahoo.com... I like the beige classic solid cable sweater. Love the first one in orange! I would pick the Fur Ball Embellished Batwing Sleeves Jumper in White! Hm.... I go with the "brilliant floral cropped sweater." I really like the third sweater in white. The email is: rice.ginger@yahoo.com. The classic cable sweater in beige is cute! Lovely giveaway and variety! Following your blog on GFC as noabolozky. Registered on OASAP as noabolozky@hotmail.com. My personal choice would be the Classic Sequined Mohair Sweater in Black. I really love the 1st one in orange. So pretty! Fur Ball Embellished Batwing Sleeves Jumper in the color white - So adorable! I like the first beige sweater! omg! the Fur Ball Embellished Batwing Sleeves Jumper is soo cute! I like the white one.